It’s rarely that we get excited about a relatively ‘unknown’ wine maker. The man in charge is called Adrien, a handsome and very tall young chap (at only 25 years young!). Dhont and Grellet are the family name of Adrien’s parents. Having made wines for several decades, it’s time to pass the baton to the next generation and this is where magic happens. Monsieur Dhondt, Madame Grellet and Adrien! 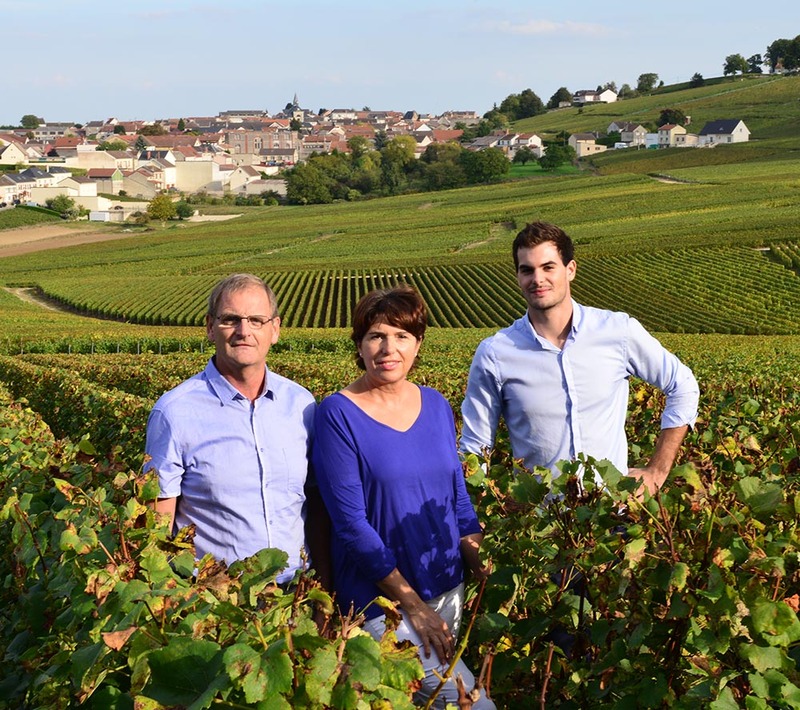 Owner-grower and indépendant winegrower for several years, the Dhondt-Grellet domain is located in the heart of Côte de Blancs. 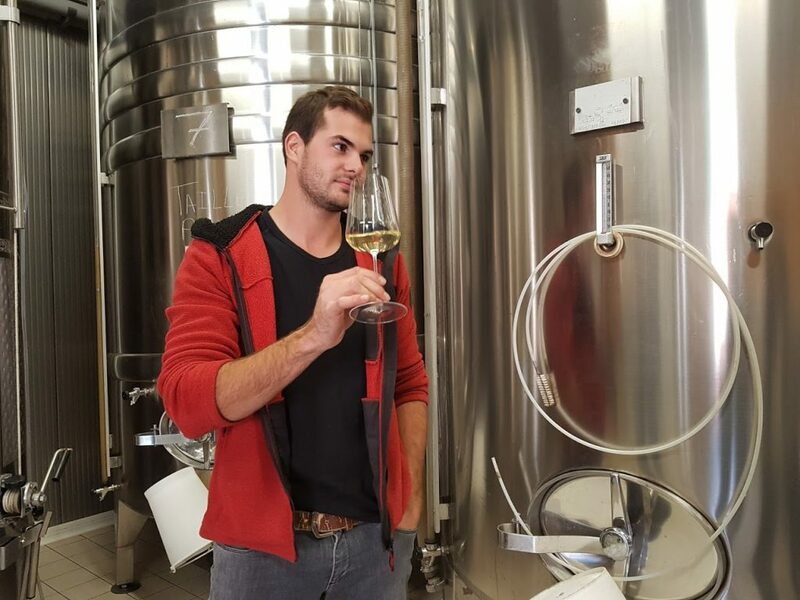 Adrien in front of the stainless steel vats full of solera-goodness (Dating back to 1986 and the still wines tasted are so pure, clean, full of the Cote’s juiciness! 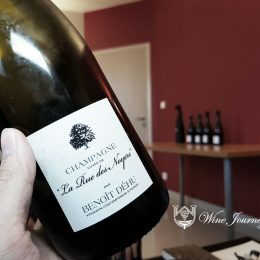 We were at the Domaine in early October 2016 and not having tasted the wines, we really had no idea what to expect as there’re literally thousands of wine makers littered across the huge geography of Champagne. By the 3rd wine served, Dave and I agreed this house is something we must get and regardless the pricing, we placed an order immediately and finally it got here in time for xmas 2016! Adrien’s entry level Dans un Premier is crisp, full of citrus notes and really freshing. 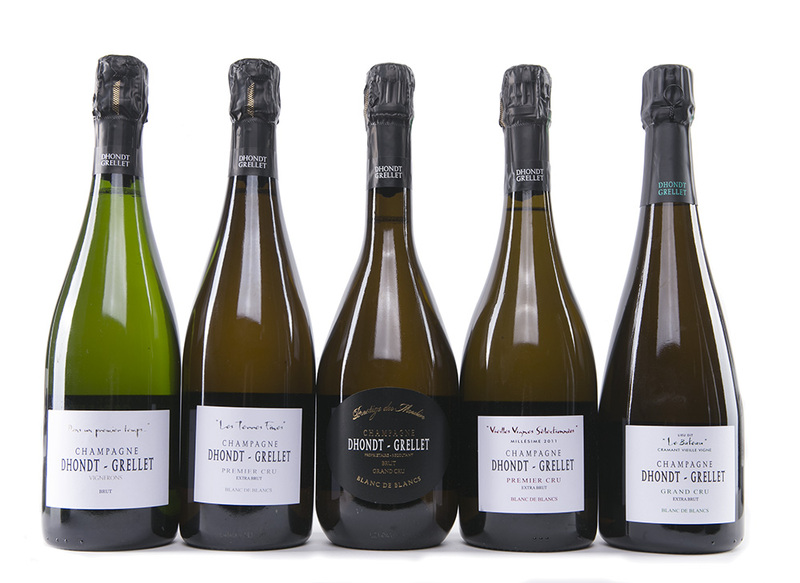 The stars of the style comes with his Solera-system (blending of old vintages) into the Blanc de Blancs. 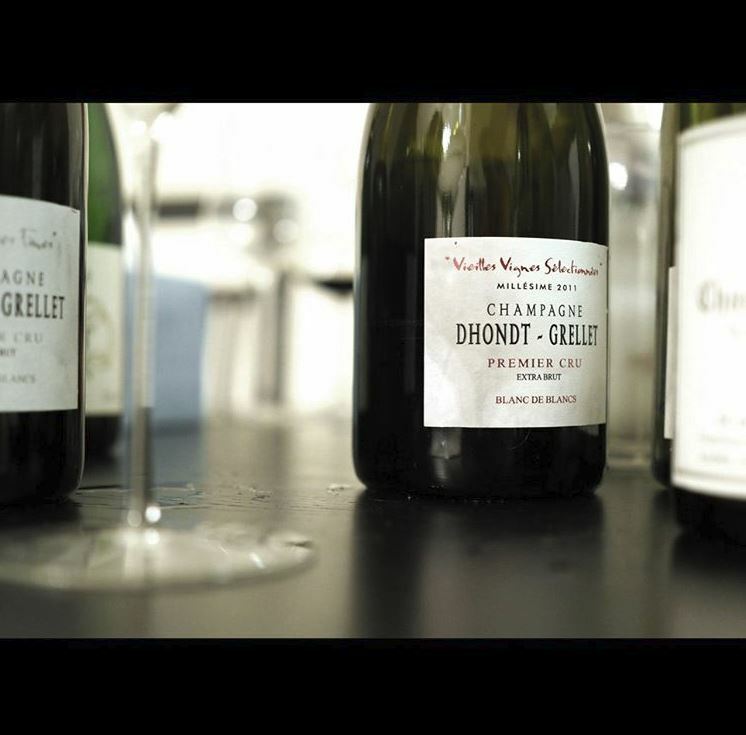 These are amazing rich and yet the structure of the acids is so classically Chardonnay. Very minutes amount of Dosage to balance out the wine. Tasting Note: Floral, green apple fruits. Very good flavours across the palate with lime zest added better complexity at the back. Very long finished with chalky mineral aftertaste. Refreshing! Tasting Note: High tone and expressive with touch of yeast and almond intermixed with orchard fruits. Gotta love the finesse here, chalky, salinity and so juicy! Tasting Note: Good depth and authority with complex mushroomy and ripe yellow fruits. Super intense salinity. 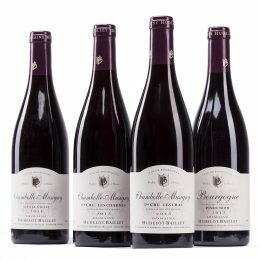 While it has good depth and very generous on the palate, it was really the underlying tension and length that we adored. Tasting Note: Elegant, complex salinity, preserved plum, orchard fruits, fresh grass. Very good depth and intensity for 2011, the salinity flowing thru from start to finish effortlessly. Medium length with good energy. Fabulous aging potential and yet approachable right away!